IWM Duxford in Cambridgeshire, part of Imperial War Museums, will once again host the uniquely thrilling spectacle of the Duxford Air Festival at the end of May. The event continues a century-long tradition, with air shows reportedly celebrated as the second-biggest participation event behind football matches during the 20th century, for young and old alike. 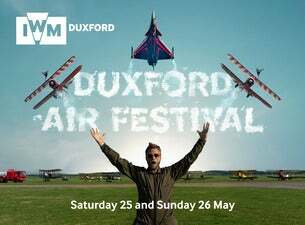 The Duxford Air Festival is now set to return to the former RAF base and historical site from 25 – 26 May 2019, hosting more high-octane thrills, technological innovation and a festival spirit suitable for all.